As climate change and rising urbanisation impact the built environment, education for structural engineers needs to adapt to keep up – and it might need to look beyond maths and physics. 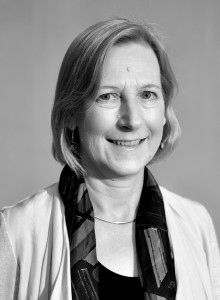 According to Faith Wainwright, the UK-based President of The Institution of Structural Engineers (IStructE), the world is changing at a pace and scale that challenges our ability to adapt fast enough, or even understand all the implications of the challenges occurring. While tools such as WeatherShift can provide insight into how climate trends will affect planning, construction and cost of future buildings, engineers also need to be educated about the social ramifications of climate change, according to Wainwright. “Surviving shocks and stresses is not simply about infrastructure design, but the multi-dimensional attributes of resilience – how well communities can adapt, and political and economic structures manage when a devastating incident happens,” Wainwright told create digital. Wainwright believes a broader range of subjects will help engineers better understand sustainable development, in particular the social dimension of the built environment. “[Understanding] is helped by encouraging study of humanities through to an advanced level – we have to encourage this and not simply focus on maths and physics,” she said. Demand for well-rounded engineers and other STEM graduates is also being seen among employers, who are looking for candidates who don’t reduce the world to just ones and zeroes. Wainwright believes engineers should continue their learning after graduating and entering the workplace. As Head of Skills and Knowledge at Arup in the UK, Wainwright leads the firm’s Skills Networks and helped set up Arup University, which supports the Skills Networks. These networks have helped the company transition from relying on a core set of experts to fostering communities that share knowledge and help identify relevant expertise. Arup has around 40 Skills Networks ranging from economists and urban planners to lighting designers and tunnelling engineers. “Engineers are intensely interested in doing things better, and are also social beings who don’t simply extract information from libraries or put our knowledge in the cloud, but are naturally motivated to share and collaborate with colleagues with whom we have a common interest,” Wainwright said. To come up with creative solutions to the world’s problems, engineers of the future will need to get better at sharing ideas and knowledge with other professions. This includes financial practitioners, policy-makers and social scientists, Wainwright said. “Working with other perspectives helps us to think outside the box, and evaluate the alternatives in terms of social and economic impact – not simply safety, buildability and visual elegance, though these are fundamental,” she said. Another valuable avenue for engineers to hone their practice is learning from near misses and structural failures. One avenue for reporting safety concerns that Wainwright has been involved with is the Confidential Reporting on Structural Safety (CROSS) scheme. “CROSS enables anyone to report a failure or near miss, perhaps something that might otherwise not get reported beyond the project. This allows others to avoid the same trouble,” Wainwright explained. Wainwright added the CROSS data makes it possible to see trends in issues arising, which can inform the broader industry about the changes needed to avoid further incidents. CROSS was set up 10 years ago by the Standing Committee on Structural Safety (SCOSS), sponsored by IStructE, the Institution of Civil Engineers and the UK’s Health and Safety Executive. SCOSS was founded half a century ago to review trends that could lead to risks in structural engineering in the wake of a number of high profile collapses during the 1960s and 1970s. These failures included Ronan Point in the UK and the West Gate Bridge in Australia. Wainwright explained these collapses triggered the need for ongoing review of advances in technical methods, materials, near misses and failures to keep watch on structural safety and continually embed learnings into engineers’ professional practice. In her time on the SCOSS panel, Wainwright observed the underlying issues of near misses and failures nearly always come down to factors such as communication, competence and regulation. “These are weighty issues that most engineers cannot tackle alone, yet they can learn immediately from reading about what technically went wrong, and that’s where CROSS comes in,” she said. Wainwright added there are currently plans to establish a CROSS scheme in Australia. As well as questioning and supplementing established educational trends for engineers, Wainwright said fostering the profession’s natural creativity is key to facing the challenges of the future, whether they be establishing communities on Mars, driverless car safety or zero-carbon housing. “Engineers create; they understand the needs and bring about a practical solution, whether this is a building, bridge, railway or other, and there are many types of engineering. I’m focusing on the structural engineer’s role,” Wainwright said. 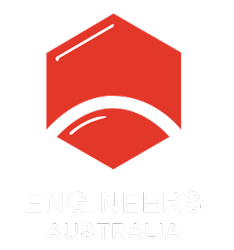 Faith Wainwright will be a keynote speaker at the upcoming Australasian Structural Engineering Conference, held in Adelaide 25-28 September. To learn more and to register, click here.